Writing a book is a weird way to make a living. It’s no different, qualitatively, than any other profession. You sit at your desk every day and work on a project until it’s done, then turn it in. It could just as well be a TPS report or a client’s taxes or a law brief. The big difference comes when it goes out to do its work in the world. By nature, a book is public, and a book tries to get as much attention as it can, and it invites people to have opinions about it. It’s as if your TPS report or tax filing were widely distributed to random people throughout the country, who then took to the internet and various publications to offer their opinions on it, then sent you gifts or hate mail depending on how well they thought you did. Lucky for me at this moment, the world has generally decided my TPS report was good. So good that they send me gifts and notes and say very nice things, occasionally in very prominent public places. People always tell you that if you listen to the good reviews, you have to listen to the bad, so you shouldn’t listen to any of them. But I am here to tell you it’s very hard to not listen to the good ones. When I got back to New York, I found myself with the best kinds of reviews you could ask for: Gifts and thank you notes stuffed in my mailbox. 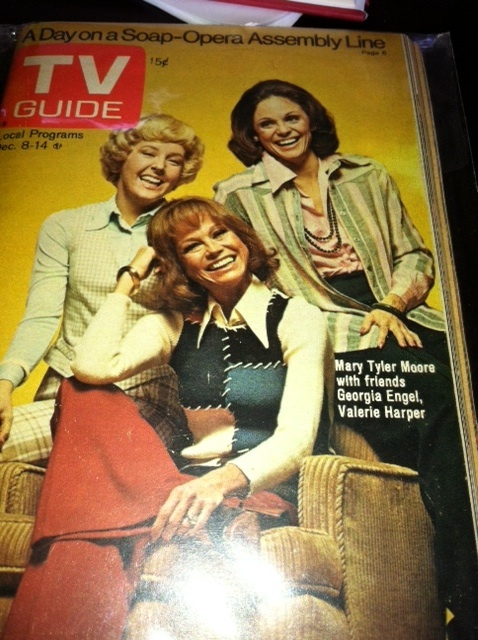 I’d gotten a vintage TV Guide featuring the women of The Mary Tyler Moore Show from one reader, Pamela Wagner, who came to my book party in Chicago. 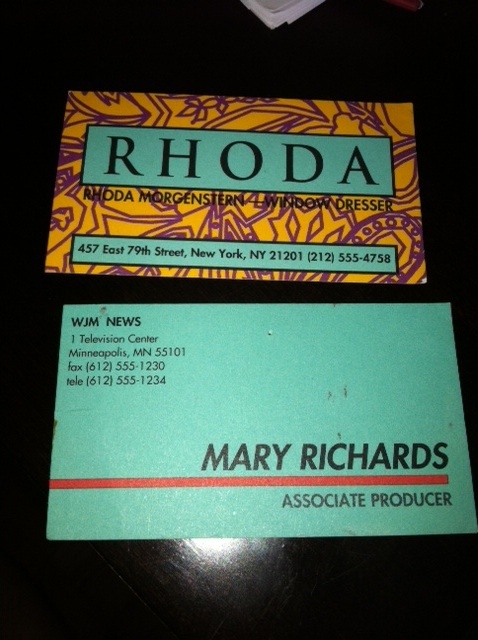 To that awesomeness I got to add today some business cards the props department once made for Mary and Rhoda, courtesy of Marta Acosta, who heard about the book on NPR and sent them to me so they’d have an appreciative home. 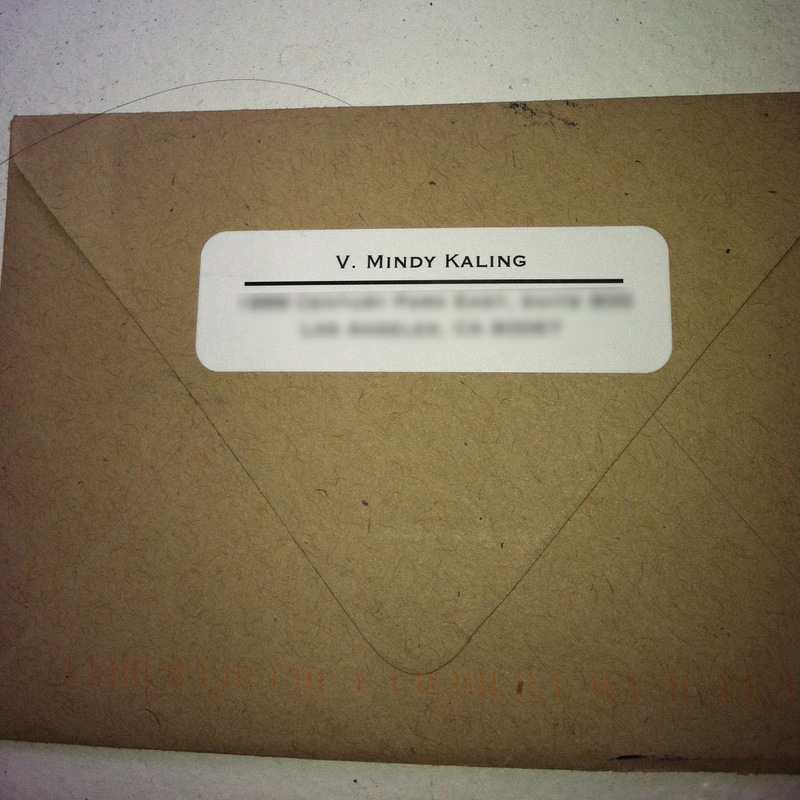 And finally, I got a lovely card from Mindy Kaling, to whom I’d sent the book after chatting with her about it on Twitter. (One of the MTM writers had told me that her favorite current show was The Mindy Project, which I thought was perfect.) That’s a classy lady, you guys. So today, for now, I’ve decided: I’m listening to the good reviews.